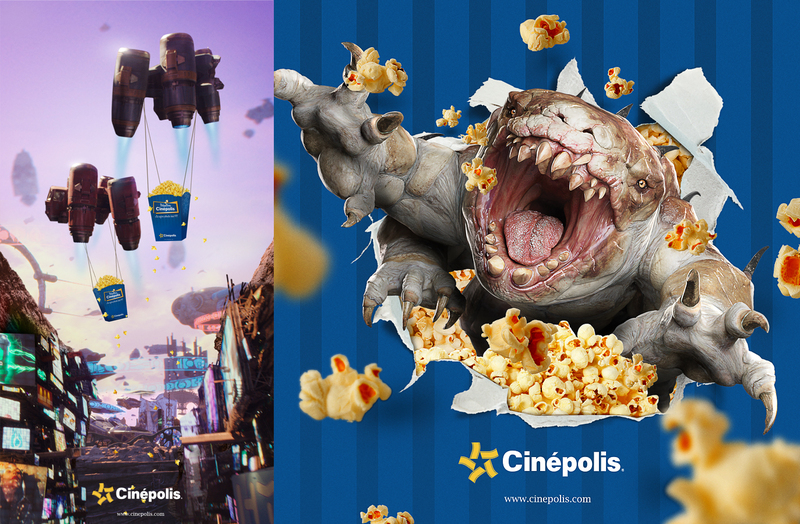 The Cinepolis theatre chain in Mexico really does have the best popcorn in the universe. To help them prove it, our assignment was to insert popcorn into imagery from the film. The main image was used on several sizes of outdoor advertising in Mexico, and other images were used digitally. Mmm.